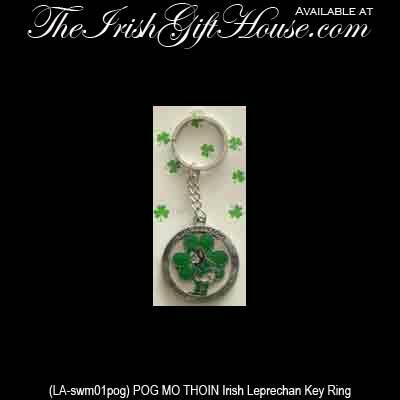 Irish Gifts - Enamel Pog Mo Thoin Irish Leprechaun Metal Key Ring. 1 3/8 Inch Diameter Full Color Emblem, Silver Tone Metal, Gift Packaged. Pog Mo Thoin is Kiss My Arse in Irish!